The Jenny airmails may be among America’s best-known stamps, but little is known about the first day covers of those stamps. 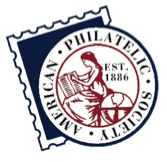 In fact, well-known philatelic author and researcher Ken Lawrence says there may only be one genuine FDC. First Day Covers of 1918 Air Post Stamps — Or Are They? brings together in one volume four previously published articles, along with a new “afterword” essay by Lawrence and an introduction by aerophilatelic exhibitor Andrew McFarlane. The book is the latest publication from the American First Day Cover Society. Publication coincides with the centenary of both U.S. airmail service and the issuance of the first U.S. airmail stamps, depicting the “Jenny” airplane. “It’s difficult to believe that after all these years there could still be so many outstanding questions regarding these Jenny ‘first day’ covers,” writes McFarlane. “I think it’s safe to say that many of these questions can now be safely put to rest” by this book. 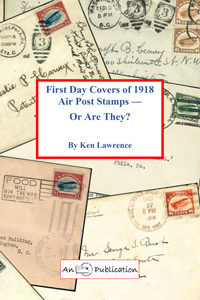 First Day Covers of 1918 Air Post Stamps — Or Are They? Is available as a .pdf download from the AFDCS for $12 ($10 for members) or a printout may be purchased for $20 ($17 member price) postpaid. Either version may be ordered from the AFDCS website by following this link. The printed version may also be ordered by mail from AFDCS Sales, PO Box 44, Annapolis Junction, MD 20701-0044.